Arizona Historical Shootist Association, Inc.
(SASS #422 L, Regulator, SASS Hall of Fame Member). The Board of Directors strives to maintain the spirit of Ole Deadeye's vision for the club by welcoming new-comers, working cooperatively with other clubs and match organizations in the region, and creating shooting scenarios that are fast with big and close targets. Los Vaqueros is a non-profit corporation, registered with the State of Arizona. Our sole mission is to encourage people to participate in Cowboy Action Shooting and celebrate the history of the Old West. We are affiliated with the Single Action Shooting Society (SASS) and the National Rifle Association (NRA). 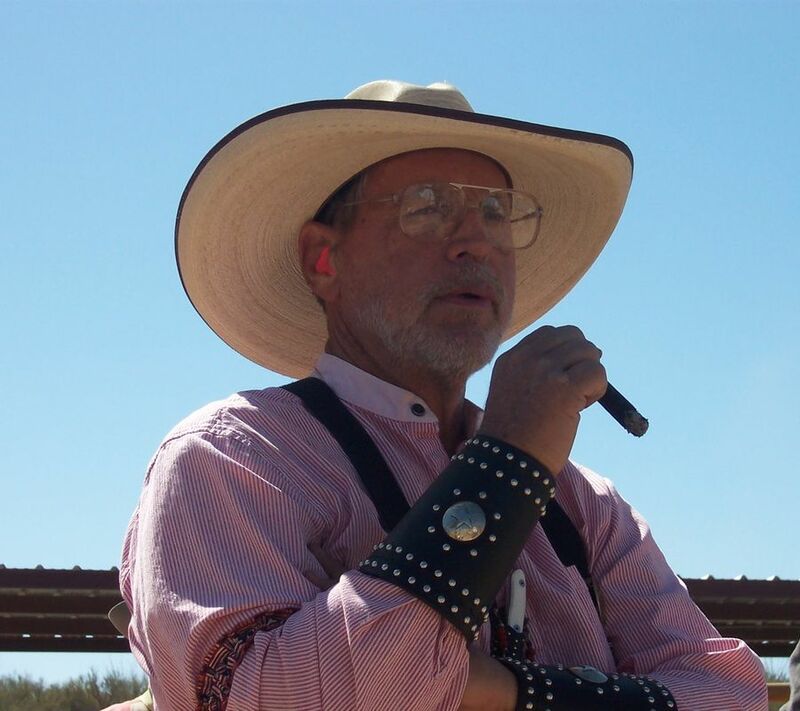 Our club adheres closely to the rules for Cowboy Action competition specified by SASS, and the rules for safe gun handling put forth by the NRA. Our monthly matches are presently held at the Tombstone Livery, operated by Cowboy Doug and Tequilla Terri, just outside Tombstone, Arizona Territory. Our matches are held on the Third Saturday of every month. First shot downrange at 9:00 a.m. Fees and Membership for our regular, monthly matches are $10.00 for Members and $12.00 for Non-Members. Shooters who also want to shoot in the "Open" category at our matches may do so for $6.00 additional. Membership dues for the year (beginning in January) are $12.00 Single and $18.00 Family. Sign up for membership at a match, or contact our club Secretary. We do not pro-rate membership dues throughout the year.